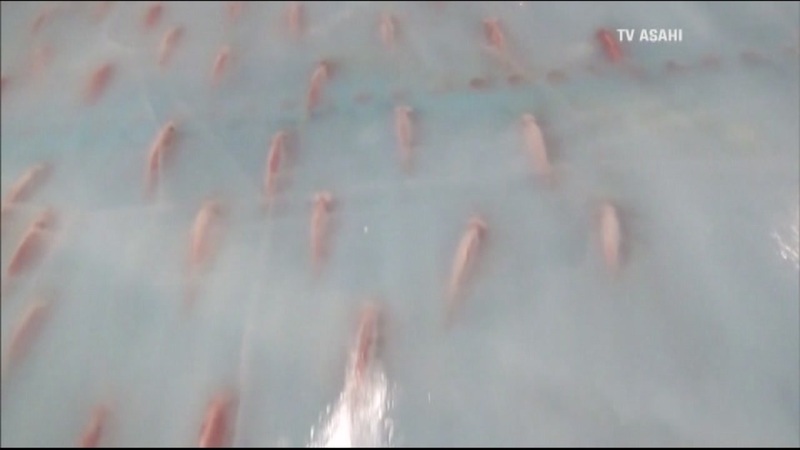 JAPAN (KGO) -- The Japanese theme park Space World has apologized for freezing 5,000 fish in the skating rink's ice. The park closed the special winter attraction called "Freezing Port" Sunday after public outcry. It has fish, crabs and other shellfish embedded into the ice. The Space World manager said reaction on social media has been brutal. The park will hold a religious service for the fish after they're removed, then use them as fertilizer. Click here for more animal stories.